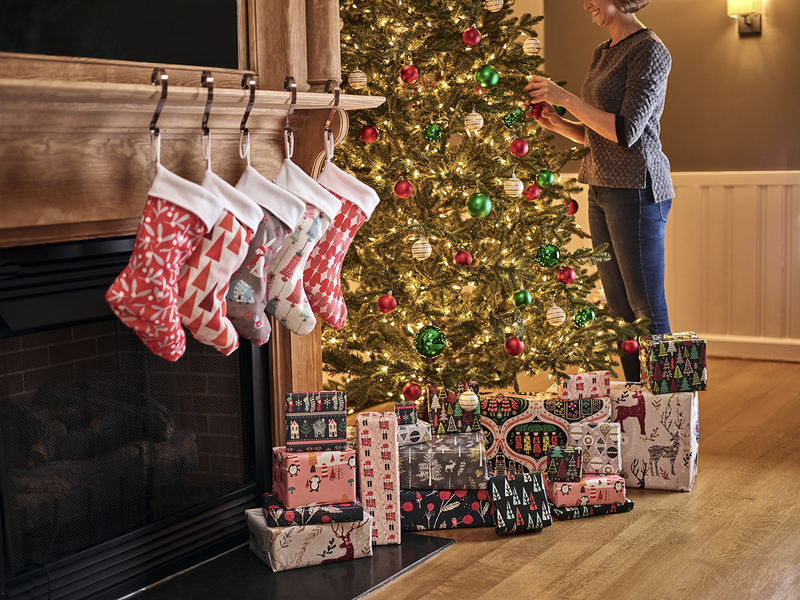 Once September 1 hits, fabric, craft, and home goods stores start to stock their shelves with holiday wares. Whether you love it or hate it, seeing holiday stockings for sale when it’s still warm outside will never not be weird for us at Spoonflower HQ in Durham, NC. This year, we’re taking a different approach: making our own! This project can be done using 1 yard of fabric (this is a great Fill-a-Yard™ project! ), takes no time at all, and will have friends and family members begging for your DIY secret. Whether you tell them (or make them one) is up to you. Download your free pattern and let’s get started! Recreate the look with these featured designs!